With two national championships and four other races, there's so much running to see this weekend in the west. 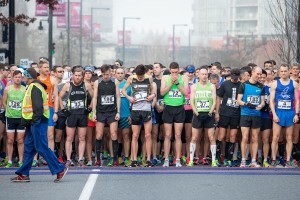 May 24-27 is Calgary Race Weekend and as well as the Canadian Half-Marathon Championships, and National Championships for the Association of Canadian Ultramarathoners. There are 15,000 runners competing at Canada’s longest running marathon this weekend. With two national championships and four other races, there’s so much running to see this weekend in the west. Wishing all of our #motherrunners a very happy #mothersday ! Race Weekend kicks off with the Health and Wellness Expo. The expo features exhibitors from nutrition, sportswear, recovery, fitness and car companies. Some of this year’s exhibitors are: Solo Energy Bars, Skip the Dishes, Centaur Subaru, and Altra Running. As the official and exclusive Food Delivery App of Calgary Marathon 2018, @skipthedishes makes healthy eating easy. New to SkipTheDishes? Use code RUNYYC to receive $7 off your first delivery order. The fine print: valid on only paid-online delivery orders with a food and beverage total of more than $15. New SkipTheDishes customers only. Cannot be combined with other offers. Expires Oct 31, 2018. The Association of Canadian Ultramarathoners has named the Calgary 50K as the host of the national championships for the fifth year in a row. 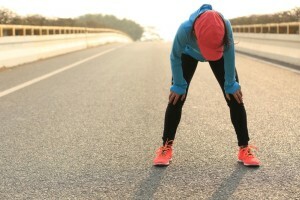 The Scotiabank Calgary Marathon is a unique course because runners have the options to run an extra 7.805K to make 50K total, and an official ultramarathon. Ultramarathons are rarely run on the road, making the race in Calgary a special opportunity. The Scotiabank Marathon is known as a flat and fast race. The course is also a Boston Qualifier, making it an ideal location to run an early BQ. The beautiful course runs along the Bow River and past the Calgary Zoo, starting and finishing just past the Saddledome on Olympic Way. Calgary Race Weekend is also home to the Canadian Half-Marathon Championships. Sasha Gollish will be competing in the women’s event this year and is someone to watch. Gollish has had a lot of success in the event, coming off a strong showing at the Half-Marathon World Championships in March and a win in the Banque Scotia 21K de Montreal in April. You can stream the event live on trackie.